As christmas approaches, I know it is not even Halloween yet, I have been finding some great homemade gift ideas on Pinterest. I am going to share a few on here. I plan on making a lot of these this year. They are all so cute and great ideas. First is a glass ornament with a wedding invite in it. I have already made a few of these and it only takes a few minutes. First you need to go to Michael’s or AC Moore and get glass ornaments. If you are a teacher go to AC Moore show your teacher ID and get a discount. Take the wedding invite and cut it into strips. 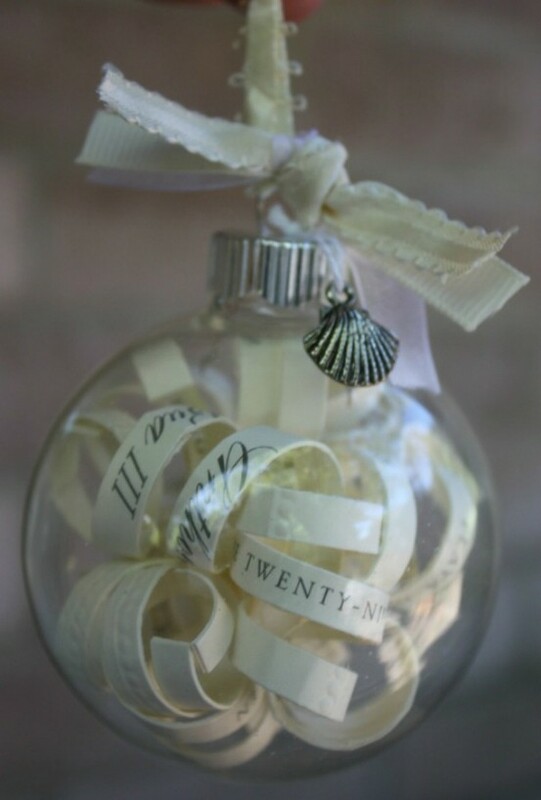 Then take the strips and wrap them around a pen or pencil and put them into the glass ornament. Add a charm to the top and now you have a cute gift idea for the new bride and groom or a christmas gift for their first christmas together! 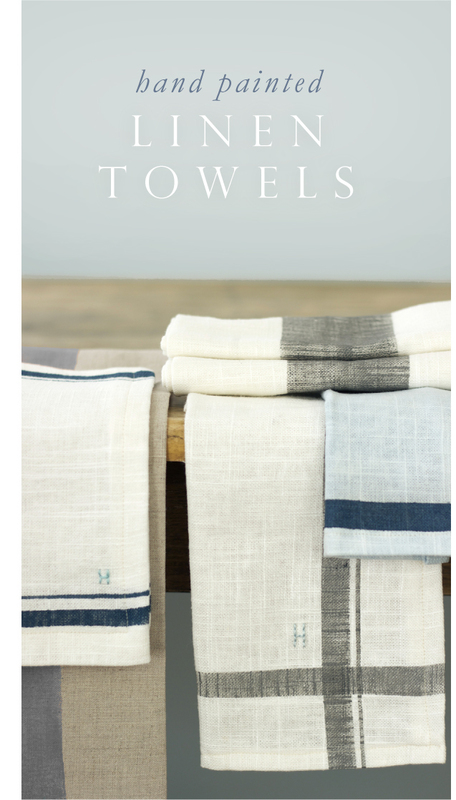 Second is Hand Painted Linen Towels. I love giving gift baskets as gifts or making them as auction ideas. Here is another great idea. the size of the item you’d like to make. For a napkin, a 20-inch square is a standard size, and 24 by 30-inches works great for kitchen towels. stripes. For a ‘plaid’ effect you’ll need to do the perpendicular stripes in separate phases. To make the paint, mix the color you’d like to use, then dilute it with 2 parts water. Dip your paint brush in the paint, then dab off until almost all of the liquid is off of the brush, leaving only a small amount coating the bristles. This is called a dry brush method. Lightly begin to brush the liquid on with even strokes. Continue until all of the stripes are a homogeneous color and intensity. Remove the tape and repeat to complete your selected pattern. Let the paint dry for several hours. Hem the edges of the linens with a 1/2 seam. Wash in cool water and press.